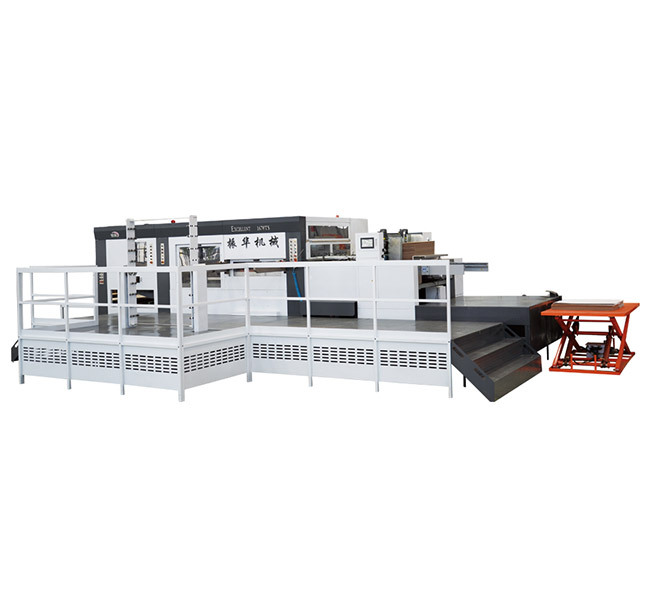 How To Solve The Problem Of The Indentation Line Of The Automatic Die Cutting Machine? 1Cangzhou Zhenhua Packaging machinery Manufacturing Co. Ltd. The pressure of the die-cutting machine is not stable or too small to form an indentation line that is not clear. Proper maintenance of the equipment should be carried out to ensure uniform die-cutting pressure. As a Manual Automatic Die Cutting Machine Manufacturer, we have the following recommendations. The width of the indentation sipe is not suitable for the indentation line to be unclear or the crease line is forbidden. If the width of the indentation sipe is too large, the simple formation of the indentation line is not clear, and the product is simply folded after the product is folded. Therefore, the width of the sipe can be matched to the thickness of the wire cutter to ensure the clarity of the Automatic Die Cutting Machine indentation and the accuracy of the crease line. The thickness of the indentation steel wire cutter is not suitable to form a skewed appearance of the half of the carton. When the corrugated cardboard is die-cut, if the thickness of the indentation steel wire cutter is too thin, the paper surface of the printed crease line may not be crushed (shortened), and the paper surface at the crease is simply folded due to "stacking paper". From the beginning, the formed goods are folded and appear to be skewed. Therefore, when the thickness of the product of the Automatic Die Cutting Machine is large, the thickness of the steel wire cutter should be correspondingly larger, so that the indentation is “depressed”, so that the “stacking” scene does not easily occur at the edge of the crease, which can prevent The product exhibits a skewed appearance after folding. Previous: A Spot Promotion Of Automatic Die-cutting Machines ! ! ! Add: Lianzhen development zone, Cangzhou city, Hebei, China.